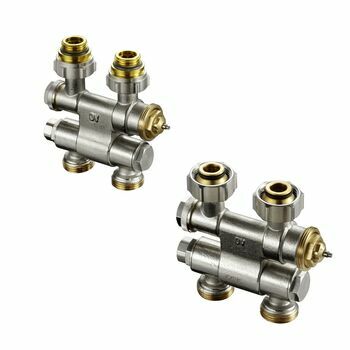 For one or two pipe central heating systems with circulation pump PN 10, for control, isolation, draining and filling, distance between pipe centres 50 mm. 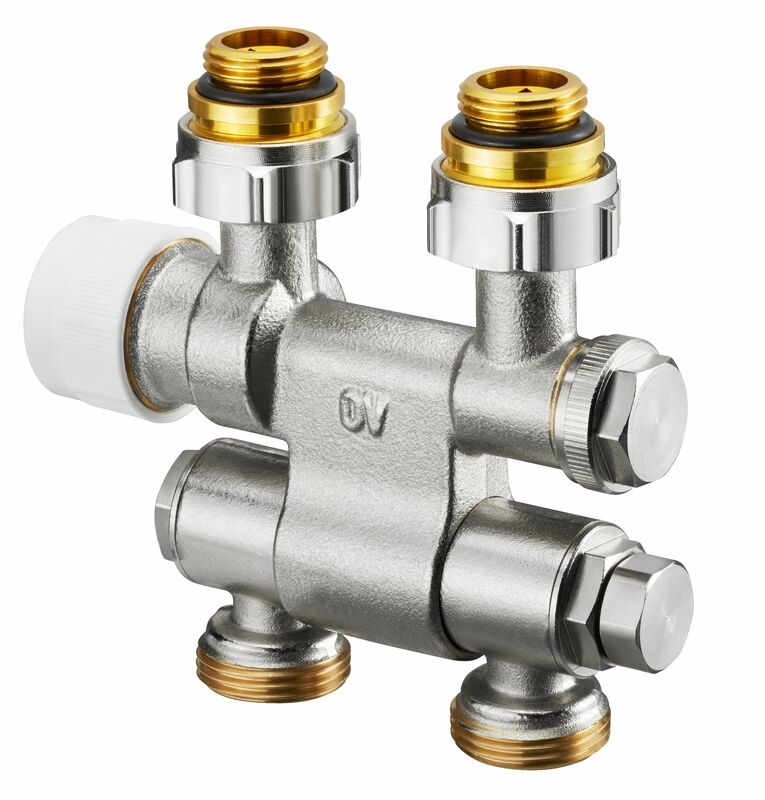 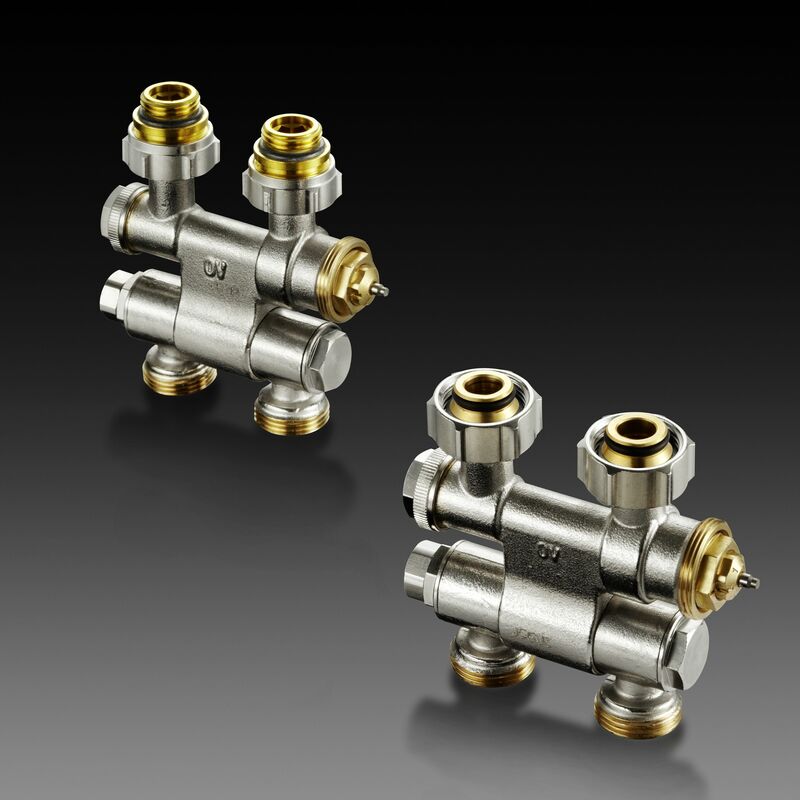 Brass fitting with nickel plated body, stem made of stainless steel with double O-ring seal. 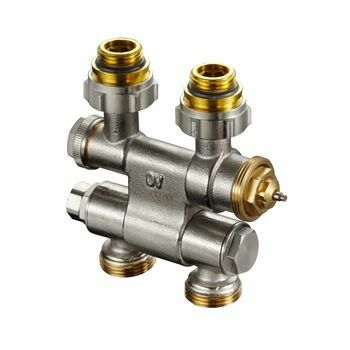 G ¾ supply and return pipe connection for Oventrop compression fittings.